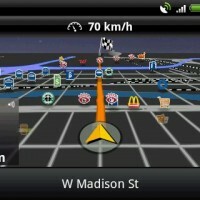 Remember on Black Friday when Navigon’s GPS map went down to only $39.99? Well, now the new update (3.5.3) is available, and they are releasing it at the same promotional price of $39.99 instead of the standard $59.99! The promotion is going on until January 06. Since it’s US release we told you about in October, they have already released two updates to show their subscribers that they mean business, and want to ensure you have the most up-to-date software. So, what’s new in version 3.5.3? Check it out after the break! -Address Click: Address selection from any app that supports an address export, launches NAVIGON MobileNavigator and instantly provides turn-by-turn directions. Users don’t have to fumble with addresses while on the go, and can begin MobileNavigator with the hit of a button. -Contacts as Interim Destinations: Contacts directly added to an existing route as an interim destination. -Reality Scanner Switch: The feature can now be swapped to automatic and into permanent-off mode in the settings. -GSM Map Download: Download maps via GSM not just Wi-Fi. Please note: Due the fact that additional costs can occur for GSM downloads, NAVIGON recommends to use Wi-Fi whenever possible. Includes – Improved US Address recognition from Contacts. There you have it, folks. New and improved for the holidays, and for twenty bucks off, more affordable. What do you think? Is there room for Navigon under your tree this year?